Horror films have often been overlooked by the Oscars throughout its 90-year history. Only one has won best picture, and only a handful have been nominated. “The Silence of the Lambs” is a notable Oscar best-picture winner for many reasons. It’s one of only three films in the Oscar’s 90-year history to win the “big five” awards of picture, actor, actress, director, and screenplay. And it’s also the only horror film to win best picture. IMDB lists the film’s genres as “crime,” “drama,” and “thriller,” and it is certainly all of those things. But in the nearly three decades since “Silence of the Lambs” swept the 64th Academy Awards, it’s been regarded as one of the best horror films of all time: It’s number 33 on this Rotten Tomatoes list of the best-reviewed horror movies, and has made countless other lists, including these from Collider and Esquire. They can all easily be categorized by different genres: “Lambs” as a crime drama, “Jaws” as a thriller, “Shape” as a fantasy romance, and “Get Out” as a dark comedy (if you ask the Golden Globes). That distinction helped propel “Lambs” to the top and it has allowed “Get Out” and “Shape” to break through a crowded field of best-picture contenders this year. In fact, there is still debate about whether they are even horror films at all, a telling sign of the Academy’s reluctance to recognise the genre. Perhaps the fear is that embracing these films as horror movies risks their chances of actually winning on Oscar night. The Academy has a dismal record of awarding the genre. In this Business Insider list of the best-reviewed films to never be nominated for best picture, “Rosemary’s Baby” and “Psycho” are notable standouts, as well as other Hitchcock thrillers. In fact, Hitchcock never even won best director. But beyond being horror films, what other factors might help or hinder “Get Out” and “The Shape of Water” on Oscar night? “Moonlight,” about a black man struggling with his sexuality, won best picture last year, signalling for many that the Oscars had moved in a positive direction in recognising the work of people of colour. 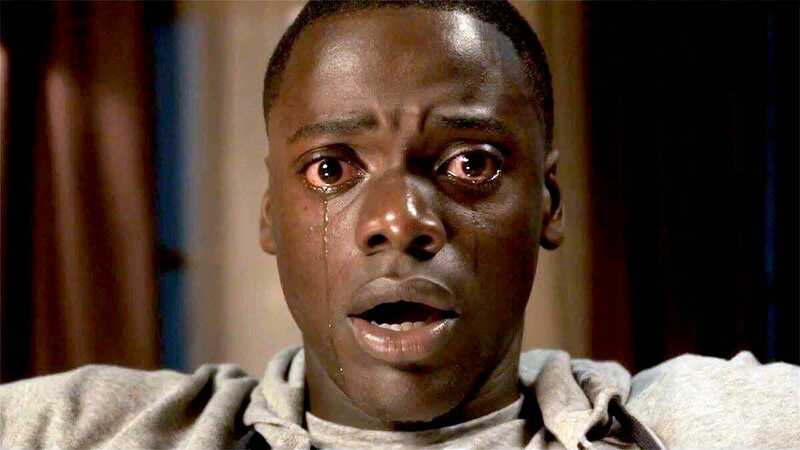 And now this year, “Get Out” has nabbed picture, director, actor, and screenplay nominations, and won best original screenplay at Sunday’s Writers Guild Awards, positioning it as a contender for Oscar gold. But still, there is the Academy’s legacy that sparked #OscarsSoWhite – a social media hashtag that trended after all 20 acting nominees were white two years in a row in 2016 and 2015. That has not completely changed, though the Academy did induct nearly 700 new members to try and diversify its membership in 2016. Positive word-of-mouth and an energetic campaign can help its chances, but the other horror film in contention this year will be hard to beat. 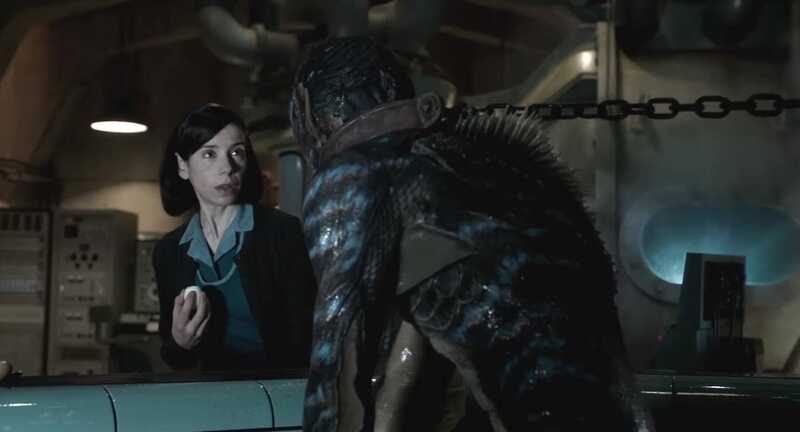 “The Shape of Water” has suddenly become a frontrunner in the Oscar race after winning best picture at the Producers Guild Awards, and picking up the most nominations at this year’s Oscars with 13. Not bad for a horror movie. But “The Shape of Water” could be hindered by the fact that it has plenty of competition in the original screenplay race – “Get Out,” Lady Bird,” “Three Billboards,” and “The Big Sick.” If it can’t win a screenplay award, its chances of winning best picture are slim by if we look at history as our guide. The last film to do so was “The Artist” six years ago. Over at awards prediction website GoldDerby.com, “Shape’s” odds of winning screenplay aren’t good: 22/1. It comes in fourth behind “Lady Bird” (8/5), “Three Billboards” (9/4), and “Get Out” (3/1). “The Big Sick” is in last at 80/1. And at the Writers Guild Awards, “Get Out” and “Call Me by Your Name” won the screenplay honours. But even so, “Shape” is still the frontrunner on GoldDerby, with the best odds of winning best picture (10/11).